The flood is Moto phones is almost here as every other week, Motorola is releasing new phones in the market with great specs and actual performance . 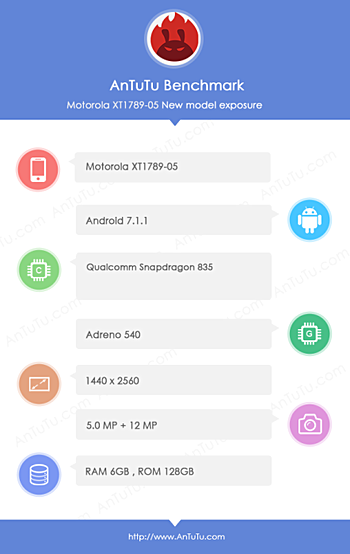 Now, a phone named XT1989-05 has been spotted online on Antutu which is alleged to be a Moto Z2 Force . 1440 x 2560 px resolution display. We are expecting it to launch on July 23th 2017 at an event at New York and we cant wait to see more about this device. Previous articleWindows 10 Insider Preview Build 16237 for PC is out on Fast Ring! Nougat Update are finally here for Meizu Devices.